Romans came to Devon and stayed for 3 centuries, there has been a small hoard of roman coins found behind Tracey at the top of St.Cyres hill that we are donating to the museum. Finds so far recorded for the st cyres hill, 16 roman coins, 2 small studs, a copper alloy plate and a bronze ouroboros figure. The coins have been registered with the british museum as a roman hoard. At first we thought these were evidence of a roman fortlet on this site but now it is thought it might be a rare early Christian religious site as well, and they could have been buried as an offering. A laser survey of the site will be done in the near future in the hope of getting a clearer idea of exactly what happened on this site. 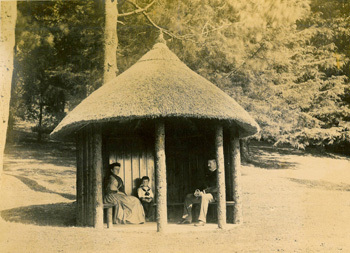 The first residence was built at Tracey by Sir William de Tracey. Thomas Chard (1470-1541) was born at Tracey. He was probably the titular bishop of Solubria. Chard did a lot of work to the parish church and was prior of Montacute. 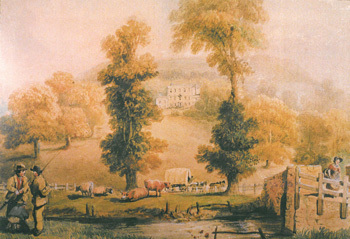 Date of the house at Tracey that was then modified in the early 1800s. 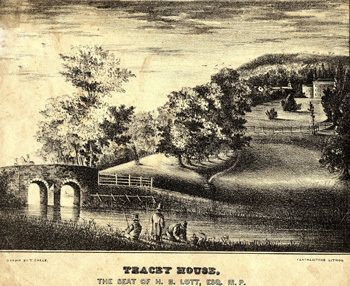 Tracey Estate was sold to Thomas Jenkins Esq. of the city of Rome. 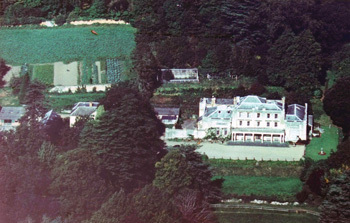 The house had been extended and the large block shown in 1763, assumed to be the old stables and coach house, had been demolished and replaced with two smaller buildings accessible from the southwest drive. 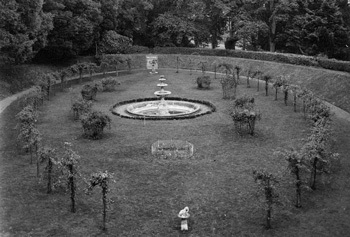 The formal gardens and canal had been retained. 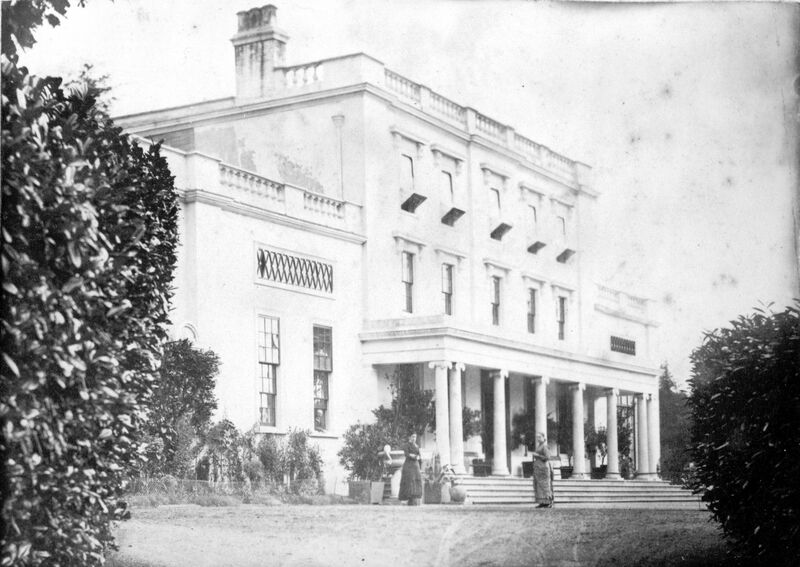 Tracey was purchased by Henry Baines Lott, MP for Honiton, and the house was enlarged. 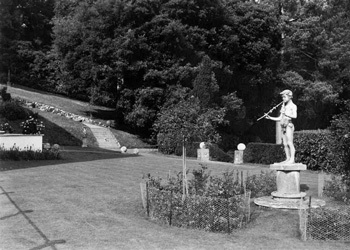 The gardens were redesigned by Lucombe, Pince & Co of Exeter in a more popular and naturalistic style. 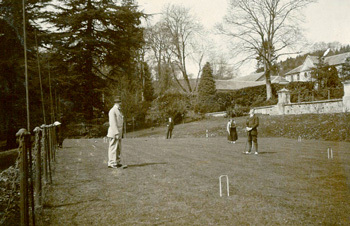 Harry Baines Lott died, and Tracey was inherited by his son Henry Buckland Lott. 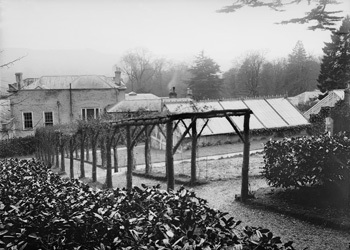 A southwest-facing walled garden was built, and a circuit of walking routes were introduced to the east of the house. A retired railway engineer, George Neumann, purchased Tracey. The park grounds path network had been extended and extensive remodelling done to both house and grounds. 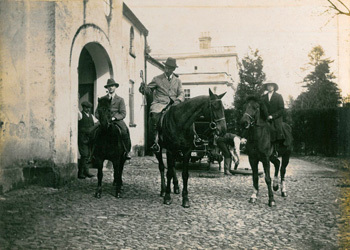 Neumann died and Tracey was inherited by his daughter Emily Weldon - who was known as Gertrude. Edric Weldon was awarded a Royal Humane Society bronze medal for attempting the rescue of Private Hague of the 8th Hussars who, crossing the Goomti River at Lucknow on his horse, got into difficulty. The medal remains in the Furnival family archive. Captain Edric Weldon married Charlotte Yolande Anne Marie Elisabeth de Vernou de Bonneuil in Paris. 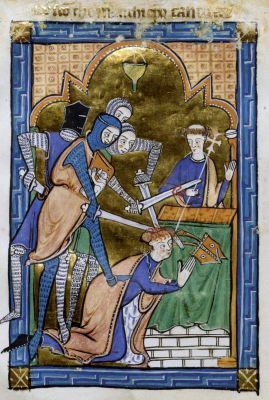 In the same year, Edric's brother Geoffrey was killed in the Somme. 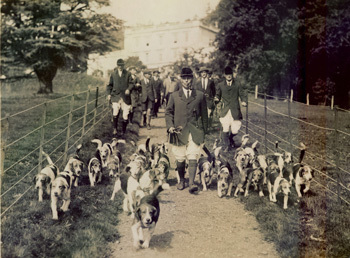 Major Weldon acquired St Cyre's Hill, which was described as formerly being the old Honiton Racecourse. 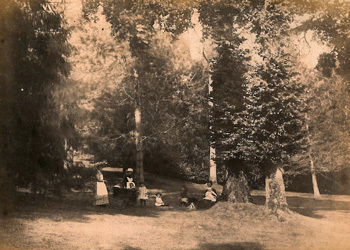 The wellingtonia at Tracey was described as 121 feet high and with a girth of 21 feet. This was written at the top of a Western Morning News article on champion trees in the West Country. Tracey House was listed grade II and the listing description described it as in a very poor state of repair. 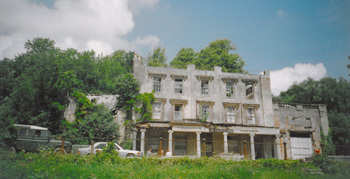 Mr Weldon wrote to the County Council enquiring about the possibility of applying for a grant to restore the building. Mr Weldon applied to the Historic Buildings Council for England for a loan to repair the house but was turned down. The Honiton bypass was opened. Tracey Bridge was demolished as it was thought to increase the risk of flooding. An application was made to Devon County Council to demolish Tracey House and rebuild a smaller residence on the same site. The girths were recorded of twenty-one trees in the ornamental woodland. One of the redwoods was about 125 feet tall. The stables were converted into a house. Tracey House had become derelict and dangerously unstable and trespassing was a major issue. The decision was taken to demolish the building. 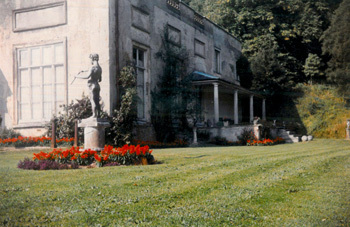 Work started to restore the gardens.